Renee: Many people over many years have come to know Jarboe as an artist, as a musician, as a resilient re-invention over time. To many it’s the howling subtlety of Swans to the brash growl of Jarboe solo. In 2016, who is Jarboe to you and what do you want people to take away from your presence physically and creatively? jarboe : Re-invention is re-evaluation. Re-evaluation can mean radical purging of possessions and former practises. It can mean fasting. Re-evaluation is necessary in my opinion. I stripped down the studio. I began to paint and found a voice in that medium. I love painting as a form of music. The process of creating a painting is meditative and laborious. The solitary aspect of it is intimate. Renee: I feel like it’s almost impossible to read an interview with you that doesn’t mention Michael Gira or Swans or some amalgamation of the two. Is that something you once held contempt for after going solo or would you say now that it’s been more of a help than a hindrance? jarboe: I’ve experienced deep emotions but not contempt. I respect of all of the work I have done to date in both Swans and Skin. It’s an impressive amount of work that clearly shows the influence of my sensibility and the beauty of what Michael and I created together. I always site Swans as a significant part of my education. It is part of my identity and informed me in a permanent way as an artist. I did enjoy recording the vocals that I contributed for The Seer. In terms of craft, Michael and I influenced each other during the years we recorded and performed together. He has said that I taught him how to sing from deep inside his chest and I have said that he taught me the strength of less notes, less “jazz” in my singing and keyboard playing, composition and arrangements. I performed in Swans during its “harsh abrasive” period when we performed in punk clubs while adding slabs of noise from the sampler keyboard. In our “classic” period, I added melody and arrangements and developing counter melody and harmony as a result of choral training and Hammond organ lessons. I think we were quite a creative team. My first recorded presence in Swans is a blood-curdling scream. My last so far is a recording for “The Seer” of long sustaining notes. I am also participating in a documentary film that is currently in production about Swans. Renee: You’ve done so many amazing projects and collaborations with other brilliant artists, one of which of course is Neurosis. What continues to keep you motivated to create and build more and more? jarboe: Yes and there was even a time years before that collaboration album, where Michael and I strongly considered the idea of Neurosis to be the “Swans band” on a tour. So it would have been Neurosis as themselves and then as “Swans” with Michael and me. Neurosis and I were in contact for years about doing our recorded collaboration. Basically it had to wait for them to get off the road for it to happen. They toured nonstop for awhile and when they finally got off the road, the album began. I loved every moment of working on that album and then rehearsing and performing with Neurosis for six memorable shows. Another collaboration I loved working on was with John Bergin and Brett Smith and entitled “Blackmouth”. We just made it available again on iTunes last year. “Byla and Jarboe” is a collaboration that utilizes my heaviest growl voice. Working on that was absolutely viscerally challenging. I also did a sort of harrowing 20 minute sound piece based on a true experience I had called “Money” with Baleyyg. I have also collaborated with artist P. Emerson Williams in recording and live shows. He will be performing on guitar with me for Dark Mofo. Also recently was the “Jarboe and Helen Money” e.p. – and the “Aeaea” project and guest vocals for “Scanni”, and also “Black Needle Noise”, with producer John Fryer (who is known for his work on a variety of projects including This Mortal Coil, Cocteau Twins, Depeche Mode, etc etc etc as well as recording vocals at Blackwing Studios in London for the Skin project from Michael Gira and me). In addition to selective cameo vocals on other artists’ work, I have done vocals and music for certain art installations and video and games. “The Path” (game soundtrack) even made it to the Venice Biennale as games were accepted into the art selection for the first time and it also won best soundtrack for a game at the international game awards. As for what keeps me motivated, I generally listen to instincts. It’s something elemental. Everything is resonating energy and it’s important to be mindful of that energy. Renee: A lot of your collaborative work has seen you move from genre to genre almost with a chameleon like nature but still with that raw edged sound that is Jarboe. Renee: Do you decide what projects to get involved in and are there any new projects on the horizon? jarboe: Newest projects would be “Black Needle Noise” and “Scanni” and “Paramahansa” for the Mitra Music for Nepal album, and the two short film soundtracks for the Leo Kuelbs Collection. One of which premiered in NYC in the show “Decomposition and Transcendence” and one of which also premiered in Berlin this year as part of the “Earth Revisited” show. “Wabi ” and “Zen J Jazz” and “Dreams” are some recent solo collections albums. I have also toured regularly in Europe with the most recent one being with cellist Helen Money, and multi-instrumentalists Danielle de Picciotto and Alexander Hacke. I’ve been on the advisory board for the National Parks Arts Foundation and an artist I advocated for did a residency recently at Death Valley National Park. I plan to do a residency myself somewhere out west in the near future. As for music, I’m recording new music right now. Deciding what projects to commit to is a matter of being mindful of resonating energy. It also means declining some projects to avoid burn out. Renee: Speaking of which, you are joining forces with Chelsea Wolfe for a show at Dark MOFO this year in Tasmania, which I think is both a magical pairing and the perfect event for both of you. How did the Dark MOFO event come about and have you met/worked with Chelsea at all before this? jarboe: I have not met Chelsea Wolfe. I do believe we’ve both worn designs by the lovely ovate.ca Audrey Cantwell. I’m very pleased that Jim Thirlwell is also performing on the bill for this night (17 June). I met Jim when I first moved to NYC. We have also worked together on a track for my album Thirteen Masks. As to how the Dark MOFO event came about, an inquiry came in through my website contact on thelivingjarboe.com and was then forwarded to me. Renee: MahaKali is still one of my personal favorite works of music. I love the strength and power and feminine energy it exudes. As an artist I’ve always loved the way you dance delicately from the raw primal to the feminine delicate, whether through instrument or song. How important is it to you to feel able to express yourself as both a person and a woman? jarboe: Thank you. The dance is instinctual. I’d say that I draw upon the persona in a given piece of music. That persona is given voice whether I am speaking through it as solely instrumental or voice / music both. I used to view it as channeling. Kris Force (Amber Asylum) brought this to my attention after a show we did in Riga. She said she witnessed me channeling and that I transformed. I remember looking into the audience and seeing a collective catharsis going on. It remains one of the most intense moments. I came to a place after a following tour (where I re-enacted the song “Sinner”, used partially as “Red Velvet Wound” on the Swans album “Soundtracks For The Blind” ) to the point of wrapping the microphone cord around my throat and choking myself amidst the audience while on the floor, where I had to seriously pull back from what Kris had described as “channeling”. Renee: Your last release was Jarboe & Helen Money in 2015. What are you working on now and is there another full length on the cards? 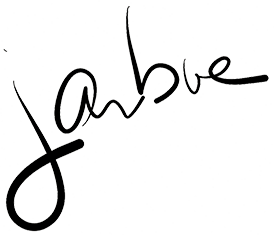 jarboe: I finally have the website I have wanted which offers downloads for those who want an even higher quality audio than iTunes. Immediate and direct with nothing between the artist and the listener. No postage fees for the download option either. I will continue to offer the hand-painted cases and pro audio media packages to those who want a physical object with unique art that I have made. I’m finishing new recordings now. Renee: What keeps you inspired and what musicians are you currently listening to a lot? jarboe: Wardruna, Tibetan Ritual Music, The Venda Drummers, Only Lovers Left Alive soundtrack, Mustapha Tettey Addy, Stellamara, Venetian Snares, Kendrick Lamar, Flying Lotus, Daft Punk, Jefferson Airplane, Scottish Pipes and African Drums, Tricky, Joey Alexander , Alabama Shakes (love Brittany Howard’s voice), Laibach, Behemoth, Miles Davis and Maria Callas. Renee: Jarboe in 1986 and Jarboe in 2016. Despite age, what are the greatest differences between the two and how would you describe that evolution, be it a personal one or a musical one? jarboe: Michael Gira and I met in 1984 and I gave him my recording “Walls Are Bleeding” which was a graphic (and even frightening ) performance piece with multiple effect units on my voice originally performed and recorded on reel to reel. At that time, I was exploring states of consciousness and extreme experimental music. It was a natural progression for me to join Swans and then perform live beginning in 1985 as an active member. My output has incorporated that original energy pre-Swans as one of exploration and curiosity rather than adhering to a specific style. In terms of personal differences that then definitely influences my work, I have now gone through a series of experiences that created intense challenges and changes. In 2001, I nearly died from a head injury and I have amnesia as to exactly what happened. I learned how to find myself from the resultant altered state of consciousness and to fully emerge from having the resultant seizures (thus the song “Seizure” on the Neurosis and Jarboe album). Before this incident, I was recording in Israel and became seriously injured while being a bystander in a sudden violent outbreak. And most significantly of all, my mother died (thus the song for her called “Receive” on Neurosis and Jarboe). I also went through the upheaval and war of the heart (detailed on albums as Anhedoniac and ongs like “Honey” and “Forever” and “Killer” and “Feral” on The Men Album). Matters of the heart were a dominant theme. I came to realize that emotions were temporal and they entered and were experienced and then left. Emotions did not define me. They did not control me. This revelation meant no longer being a slave to emotions. “Alchemic” is an album inspired by the Buddhist practice of Tonglen, an autogenic training involving breathing in suffering and breathing out compassion. Breathe in suffering. Breathe out joy. I suggest Pema Chodron’s book “The Practice Of Tonglen”. Renee: You remain as unafraid and relevant today as at any point in your past. Is there anything still left for Jarboe to conquer? jarboe: Well, thank you. To conquer.. I’ve thought at times about my personal expectations within the context of my past. Events such as being an invited guest in the party scene for the movie “Vanilla Sky” at Paramount Studios in Los Angeles, attending the wrap party of “Almost Famous” and the “Conversations with Wilder” book party in L.A. for 200 guests including Mick Jagger and Billy Wilder and Cameron Crowe. Spectacular. Post being in Swans, its been so amazing to play Inferno Fest in Norway where Attila Csihar joined me on stage to sing “The Soul Continues” and be included in the legendary final “Slayer” publication by Jon Kristiansen, getting to play the Terrorizer magazine stage at Hellfest in France and main stage at Roadburn in The Netherlands and do two Supersonic festivals in England and the Wave Gotik Treffen in Germany and perform in a number of European art museums (like inside the Emanuel Vigeland mausoleum in Oslo) and theatres as well as clubs,cathedrals, churches. It was also great to do shows in Japan and record with the eclectic Japanese band, Vampillia and have the music mixed by Merzbow. To meet a stunning array of people and spend time in so many places. I am grateful to have had such opportunities in this life. It’s quite a ride. As for something left to “conquer”, I’d say doing an artist in residency somewhere in New Mexico and publishing my memoirs are on that “still to do” list. Renee: For those lucky enough to attend Dark MOFO this year what can they look forward to and is there any special treat in store? jarboe: Based on the lineup, I’d say this is going to be an exciting evening of beautiful diversity. I’m crafting a set exclusively for Dark MOFO. There will also be art banners P. Emerson Williams is creating for the stage for our set that he will be offering for sale after the performance. And I will have individually hand-painted cases containing the recordings I am making right now.